We’re preparing for a Disney Cruise and making these adorable (and easy!) 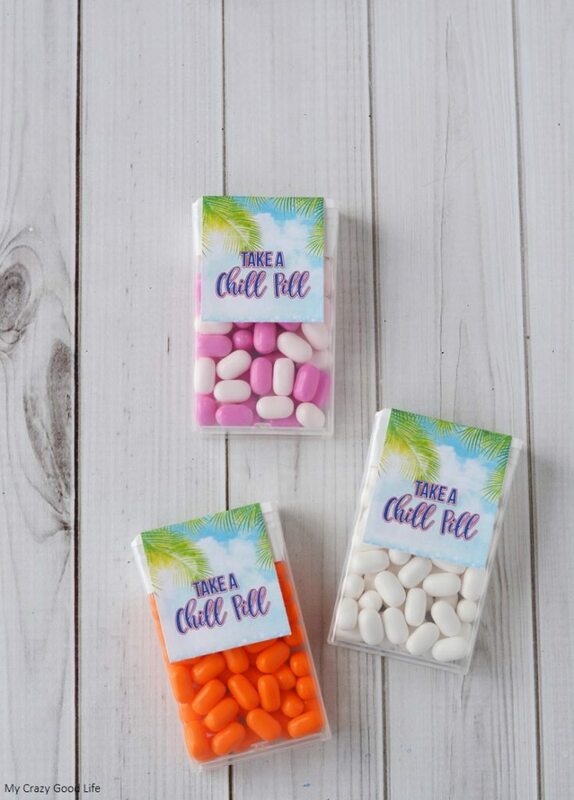 Tic Tac Box DIYs! If you are going through the same process (or if you are a tried and true veteran with Disney) you probably know about Fish Extenders! There are these fun hooks that allow you to affix a pouch, or series of pouches, so that you can exchange Fish Extender crafts and gifts with other cruisers. Fish Extenders are these fun hooks that are part of the decor on the Disney Cruise ships. They’re outside your room or on your door and you can add pouches and name tags and all kinds of fun stuff so that you can receive little gifts from other Disney savvy cruisers. Thus, we have the need for some adorable Fish Extender crafts. If you choose to participate, it’s customary to exchange gifts with other cruise guests who are in your fish extender group. We are taking along some of these Tic Tac Boxes turned “Chill Pills” to put in the Fish Extenders of our fellow cruisers. 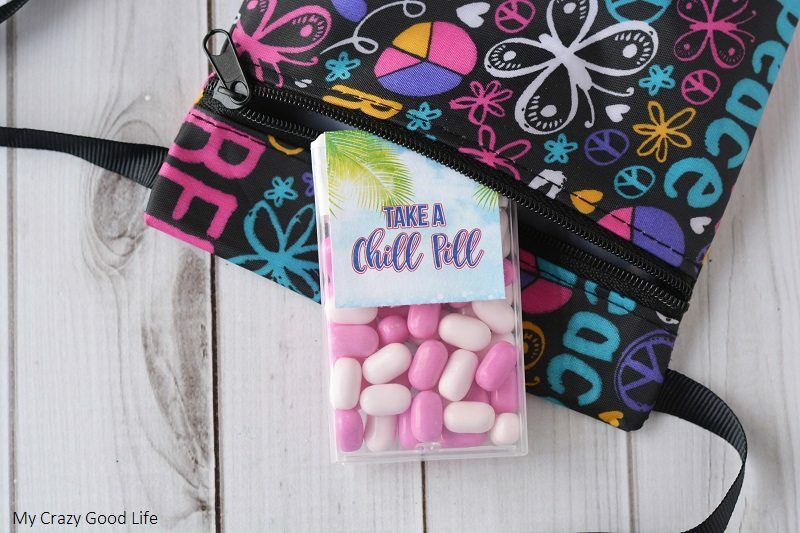 Are These DIY Chill Pills Kid Friendly? The whole process is a great way to make friends. If you have kids, you know how important it is that they find some fun pals to adventure with on a Disney Cruise. It makes the entire cruise experience that much better! 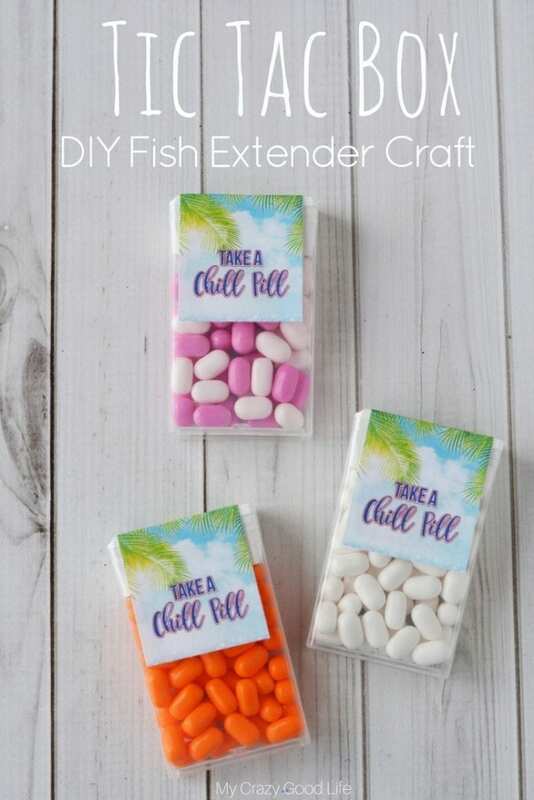 Today I’m sharing with you this fun and easy Tic Tac Box Fish Extender. 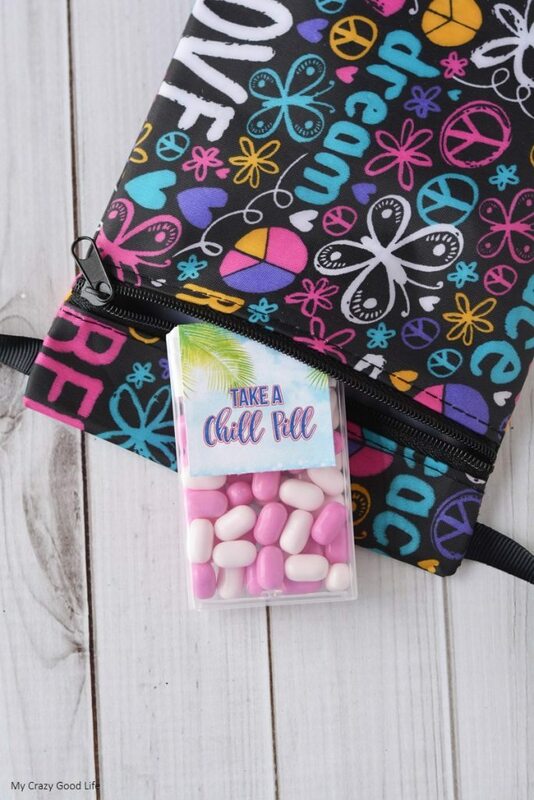 You can get the kids to help and they can make their favorite flavor of Tic Tacs into some chill pills to swap with their friends on the ship. Another great DIY Fish Extender Craft are these Pixie Dust Vials! Are Tic Tac Chill Pills Safe? Some people in the past have commented about not letting their kids eat stuff that is put in their Fish Extenders if they don’t know what is in it. I get that. 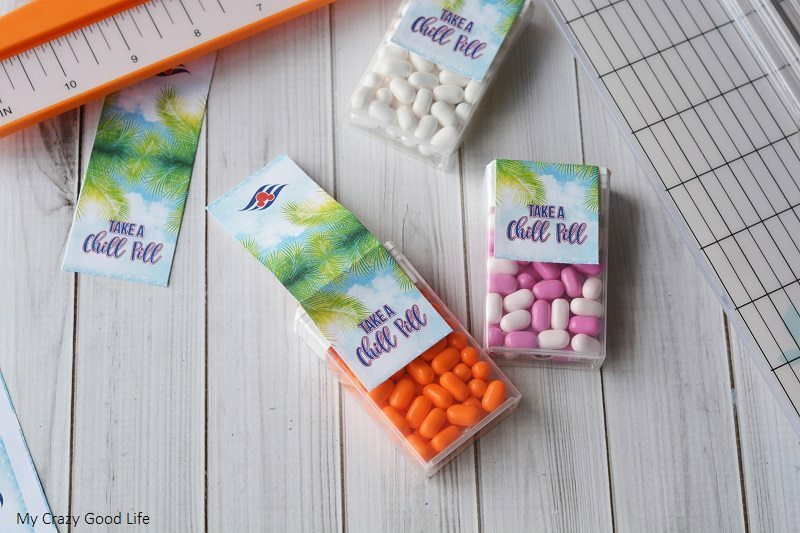 These Tic Tac chill pills are nice because you don’t have to open them or put the ingredients into a different container. You’re just covered up the label that is already there. If you are worried about your gifts and hard work being wasted this is a nice option because parents won’t have to worry about open candy! 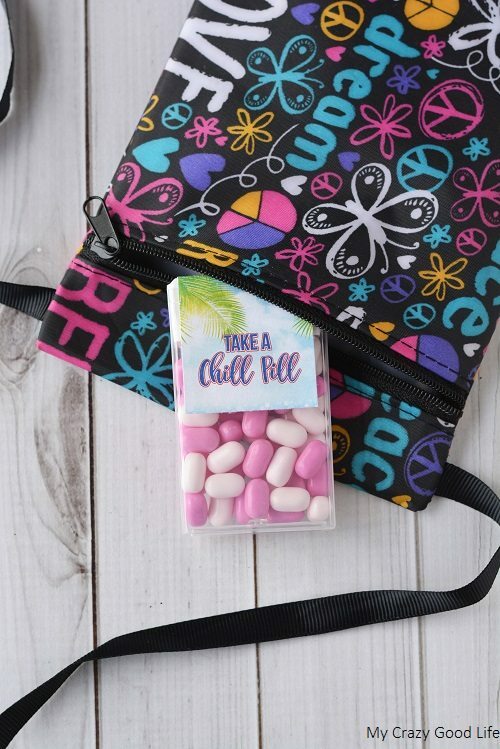 These chill pills are cute for school functions, Halloween and more! 1.Print the printable Chill Pill stickers – print at 100%, uncheck the box in acrobat that says fit to page or reduce to fit. Print on paper or sticker stock. 2. 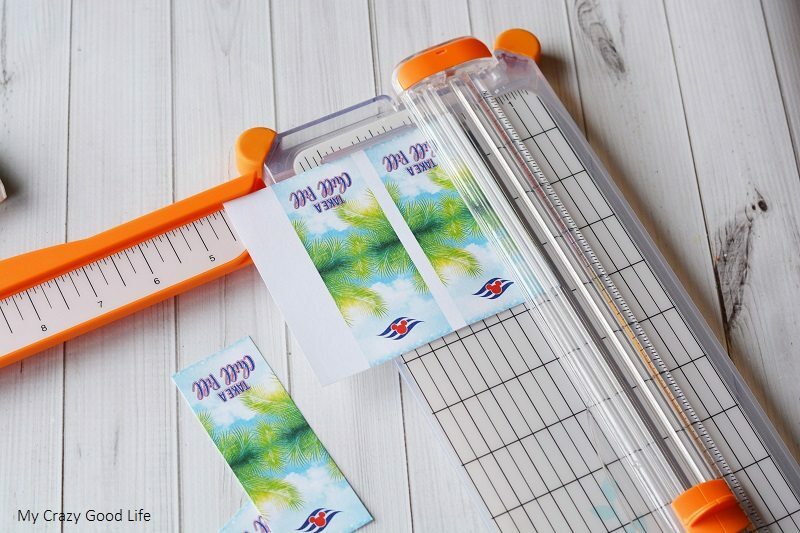 Cut the printable with a paper trimmer. 3. Lay the label on the Tic Tac container and gently fold it over, creasing at the folds. 4. If using paper, use double stick tape on the front to affix to the container. 5. Continue to use double stick tape on the top and back and press firmly to adhere. 6. If using a sticker sheet, you can simply attach it to the container. Do you have any other fun DIY Crafts? Absolutely! 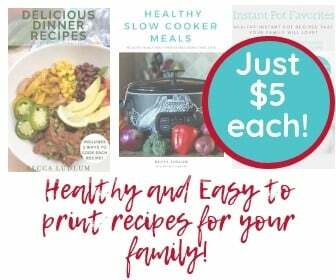 Here are some other great crafts you can try!